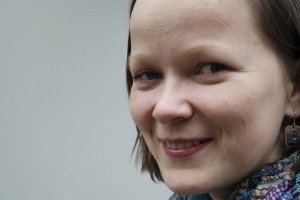 Ingmāra Balode, born in 1981, is a poet and translator. She has been the initiator and leader of many cultural projects, including the www.satori.lv Web page. Now she works as editor at the Mansards Publishing House, and teaches at the Latvian Academy of Culture. Her first collection Ledenes, ar kurām var sagriezt mēli (Hard Candy that Can Cut Your Tongue) was published in 2007. Her poems have been translated into numerous languages. She translates from English and Russian, mostli potery, and co-translates from Czech, Slovak and Macedonian. Adisa Bašić was born in 1979 in Sarajevo, Bosnia and Herzegovina. She has a master’s degree in Comparative Literature and Librarianship and a master’s degree in Human Rights and Democracy. Bašić is the author of four collections of poetry, among them Promotivni spot za moju domovinu (A Promo Clip for My Homeland, 2011), for which she received the international Literaris Bank Austria award (2012). Her poems have been included in all recent anthologies of Bosnian poetry. Pesnik in pisatelj Alexandre Bergamini se je rodil leta 1968 v mestecu Belley v Franciji. Študiral je igro, režijo in dramaturgijo. Piše o odrekanju, izgubi in samoti. Njegov pesniški prvenec Fragments d’une ruine (Fragmenti nekega propada) je izšel leta 1999, napisal pa je tudi poetično pripoved Autopsie du sauvage (Avtopsija divjaka, 2003), dokumentarno pripoved o aidsu Sang damné (Prekleta kri, 2011) in zgodovinsko dokumentarno delo Quelques roses sauvages (Nekaj divjih rož, 2015). One of the main Slovak writers, Jana Bodnárová was born in 1950 in Jakubovany, Slovakia. She studied Art History. Her opus features twenty books of prose and poetry for both adults and children, many plays, radio plays and scripts for two TV feature films. She is a pioneer of visual poetry performance among Slovak authors. Her work has been translated into many languages and honoured with several prizes (the Ivan Krasko Prize for best debut book of the year 1990, the Drama award for the best Slovak play of the year 2004, the Biblioteka Prize for the year 2014). The poet Yulya Tsimafeyeva was born in 1982 in Spiaryzza, Belarus. She studied English Language and Literature and obtained a master’s degree in Literature Studies from the Belarusian State University. She translates from English and co-edits the internet magazine of translated literature PrajdziSvet. Her debut collection of poems Кніга памылак (The Book of Mistakes, 2014) was short-listed for the Best Belarusian Debut literary prize. She has participated in various international festivals and book fairs in France, Lithuania, Ukraine and Sweden. Martin Dyar was born in 1976 in Sligo, Ireland. 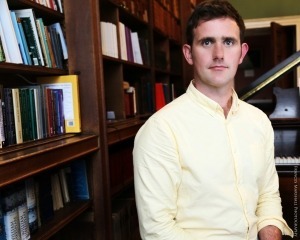 He did a PhD in English Literature from Trinity College Dublin. He is the author of the play Tom Loves a Lord about the Irish poet Thomas Moore. The play was first staged in Dublin in 2011. His debut collection of poetry titled Maiden Names was published in 2013. The book was selected among the best books of the year by the newspapers The Guardian and the The Irish Times and shortlisted for several prizes. Dana Grigorcea was born in 1979 in Bucharest, Romania. She obtained an MA in German and Dutch Philology from the Faculty of Foreign Languages and Literature at the University of Bucharest. She later studied theatre and film directing and journalism in Belgium and Austria. She writes prose, articles for the Kurier newspaper and pieces for the German Deutsche Welle Radio and the TV station Arte. 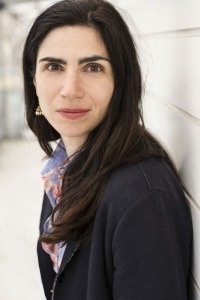 Her most recent novel Das primäre Gefühl der Schuldlosigkeit (The Primary Sense of Innocence, 2015) was entered in the Ingeborg Bachmann competition and was awarded with the 3sat Prize. 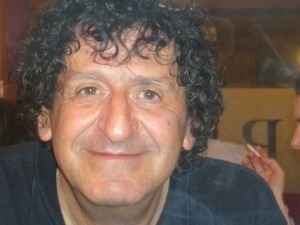 Jovica Ivanovski was born in 1961 in Skopje, Macedonia. He is one of the most distinguished Macedonian poets who regularly publishes in both domestic and foreign literary magazines. His poetry is also featured in many Macedonian anthologies. A selection of his poems was also published in the English language collection Open the Window and Let the City Breathe a Little (2002). 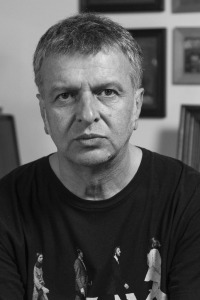 Ivanovski is the author of ten collections of poetry. 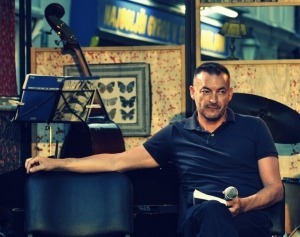 His most recent, Морето ми е до колена (The Sea Reaches to My Knees), was published in 2016. Kateryna Kalytko was born in 1982 in Vinnytsia, Ukraine. She graduated in Political Science and Journalism. She writes poetry and prose and translates from Bosnian, Croatian and Serbian. Kalytko has published six collections of poetry, the most recent being Катівня. Виноградник. Дім (Torture Chamber. Vineyard. Home), which was chosen as the Best Ukrainian Book of the Year in 2014. She is known as the co-founder of Intermezzo – the first Ukrainian short story festival, which was launched in 2015. That same year, she was also the recipient of the CEI Fellowship for Writers in Residence. Artis Ostups, born in 1988, is a poet and literary critic. In 2013, he graduated in philosophy at the University of Latvia. 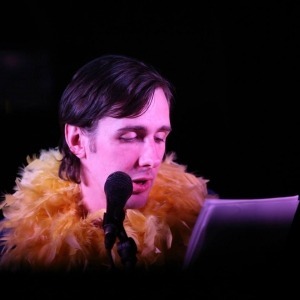 He is chief editor of the Internet literary journal Punctum. He has published three poetry collections: Biedrs Sniegs (Camerad Snow, 2010), which was nominated for the Annual Latvian Literary Award for poetry, Fotogrāfija un šķēres (Photograph and Scissors, 2013), and Žesti (Gestures, 2016). He also writes essays on literature, art and philosophy. Valerio Magrelli was born in 1957 in Rome, Italy. He is a poet, prose writer, essayist, translator from the French and professor of French Literature at the University of Cassino. 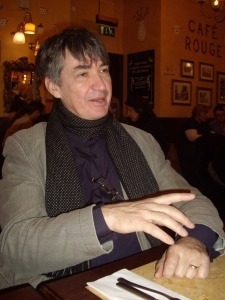 He has published six poetry collections, among them Esercizi di tiptologia (Typtology Exercises, 1992) and Il sangue amaro (Bitter Blood, 2014), several works of prose and a manual on poetry titled Che cos’è la poesia? (What is poetry?, 2005). He is the recipient of many awards for poetry and translation and has been decorated with a knighthood. Aksinia Mihaylova was born in 1963 in Rakevo, Bulgaria. 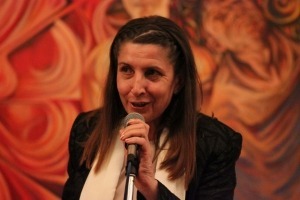 She is one of the central Bulgarian poets, as well as a translator and editor. 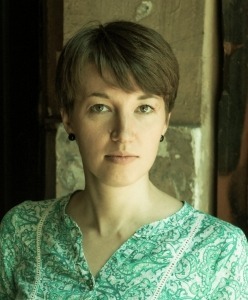 She has published six collections of poetry in Bulgarian, most recent being Смяна на огледалата (Changing Mirrors), for which she received the Ivan Nikolov Prize for the Best Bulgarian Poetry Collection in 2015. She also published a collection of poetry in French titled Ciel à perdre (A Sky to Lose, 2014), for which she received the prestigious French poetry prize Prix Guillaume Apollinaire, an award rarely bestowed on foreign poets. Ülar Ploom was born in 1955 in Tartu, Estonia. He is a poet, writer of short prose, translator from the Italian and literary scholar focusing on Italian literature. His main field of research covers the works of Dante Alighieri. He is the author of three collections of poetry. His debut collection, Üks ja kogu (One and All, 2002), was honoured with the Betti Alver Prize for best debut book of the year and with the Juhan Liiv Poetry Award for an outstanding poem in the Estonian language (2005). Ploom’s poems have been featured in various English and Italian language anthologies. Gábor Schein was born in 1969 in Budapest, Hungary. He graduated in Hungarian and German Literature and works as an associate professor for Hungarian literature at the Eötvös Lóránd University in Budapest. 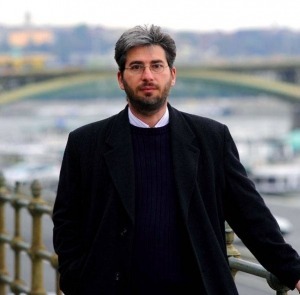 He writes poetry and novels, and has also published the epic poem Bolondok tornya (Tower of lunatics, 2008) and the short story collection Megölni, akit szeretünk (To Kill the One We Love, 2011). He has received many awards for his work, among them the Attila József Prize and the Milan Füst Literary Award. Robert Schindel was born in 1944 in Bad Hall, Austria as Robert Soël, the son of Jewish parents who were captured and interred in a concentration camp. He studied Philosophy and was one of the initiators of the Viennese student movement. Schindel, who is considered one of the classic contemporary Austrian authors, writes poetry, prose and essays. He frequently writes about the Shoah. He has received many awards for his work (among them, the Heinrich Mann Prize) and co-founded the literary festival Literatur im Nebel, which hosts world famous authors every year. Korana Serdarević was born in 1982 in Zadar, Croatia. She graduated in Croatian and Comparative Literature from the Faculty of the Humanities and Social Sciences at the University of Zagreb. She worked as a journalist for the culture sections of the newspapers Večernji list and Forum. Since 2013 she has worked as a university preparatory school teacher and also translates from the English. She is the author of two prize-winning short stories, Kravosas (Four-Lined Snake) and Ptice (Birds). Her debut collection of short stories Nema se što učiniti (Nothing Can Be Done) was published in 2015. 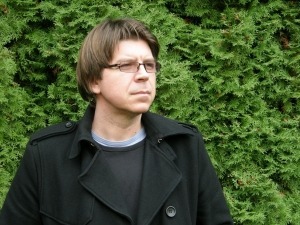 Mariusz Sieniewicz was born in 1972 in Olsztyn, Poland, and is considered one of the most intriguing contemporary Polish writers. He has authored several novels: Prababka (Great Grandmother, 1999), Rebelia (Rebellion, 2007), Walizki hipochondryka (Suitcases of a Hypochondriac, 2014), and the collection of short stories Żydówek nie obsługujemy (No Service for Jewish Women, 2005). Four of his novels were brought to life on stage. He was appointed expert consultant at the Polish National Institute of Cinematic Arts between 2011 and 2015. 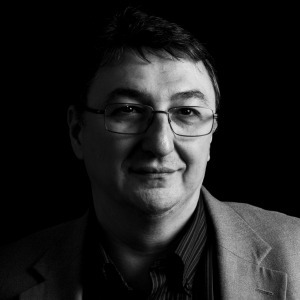 Bogdan Suceava was born in 1969 in Curtea de Argeș, Romania. He lives in the United States, where he works as a Professor in the Department of Mathematics, California State University, Fullerton. Suceavă, who writes in Romanian, is the author of several collections of short stories, essays and novels. He won many awards for his work, including the Bucarest Writers’ Association Fiction Award for the book Miruna, o poveste (Miruna, a Tale), published by Modrijan publishing house in Slovenian. Kateřina Tučková was born in 1980 in Brno, Czech Republic. She obtained a PhD in Art History from the Institute of Art History at Charles University in Prague. She is the author of four novels. 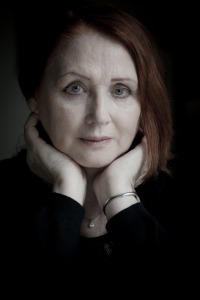 She gained recognition with her second novel, Vyhnání Gerty Schnirch (The Expulsion of Gerta Schnirch, 2009), which was also met with critical acclaim. 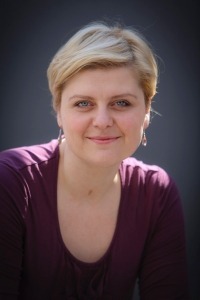 Her novel, Žítkovské bohyně (The Žítková Goddesses, 2012), became a bestseller, won several awards and was also adapted for the stage. 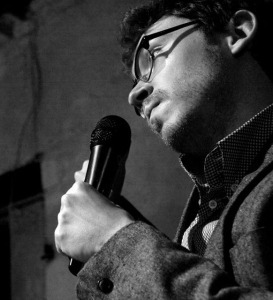 Arvis Viguls, born in 1987, is a poet, literary critic, and translator. His first poetry collection Istaba (Room, 2009) received the prize for best debut by the Latvian Writers Association, and the Book of the Year Award at the festival Days of Poetry. 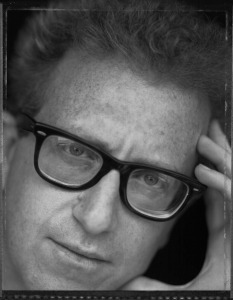 His second poetry collection 5:00 (2012), which received much attention and appreciation by the critics, was nominated for best poetry collection of the year. His poems have been published in numerous anthologies and literary journals. 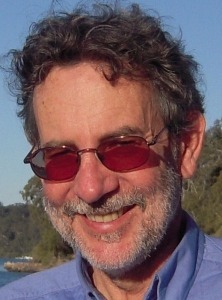 Les Wicks was born in 1955 in Sydney, Australia and ranks among the most recognizable Australian literary figures. He is a poet, publisher and editor. In 1977, he helped set up the Poets Union, a not-for-profit organisation representing Australian poets. He has published thirteen collections of poetry, with the most recent being Getting By Not Fitting In from 2016. His poetry has been published in over twenty countries. He has also been a featured guest at many international festivals all over the world.